Files with WPS extension are specific to Microsoft environment and represent a Microsoft Works document. Unfortunately, these documents are not very well supported and dealt with by Microsoft and are to be avoided to work with. However, if you do get stuck with WPS documents, there are two important ways of manipulating them: the first is trying to convert them to a Microsoft Word document – which also gives you the possibility of editing it – or, should this not work, try to get a WPS viewer software. If choosing the software download, you can locate and get the Word Viewer 2003, which allows you only to view documents and not to edit them, but would work just fine with documents of many extensions beside the WPS one, like DOC, WPD, RTF and XML. 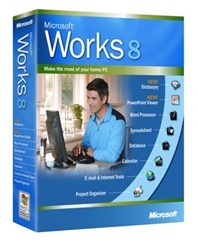 Concerning the Microsoft Works documents, it will serve you well for versions 6 and 7 of the software. If this alternative doesn’t suit you, for any reasons, you can go for a Microsoft Works 6 to 9 File Converter, which allows you to bring the WPS files in a DOC format. But this is only suitable in situations in which the WPS document is generated by MS Works versions 6 to 9, of course. If it is older than that, an older WPS File Converter must be found and used, like the one that bring the file in a Word 2000 readable format. However, there is a third way that is possible only in the newest Microsoft Office versions, that of using MS Word itself to open the Works format. This works, because Microsoft implemented the needed functions to achieve that and make the use of Works files easier. Basically it automatically downloads the conversion functions to match the WPS file you would want to open and use.